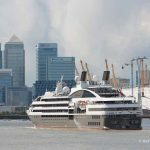 A 293 METRE long cruise ship became the biggest to ever visit London International Cruise Terminal when she sailed up the Thames yesterday. 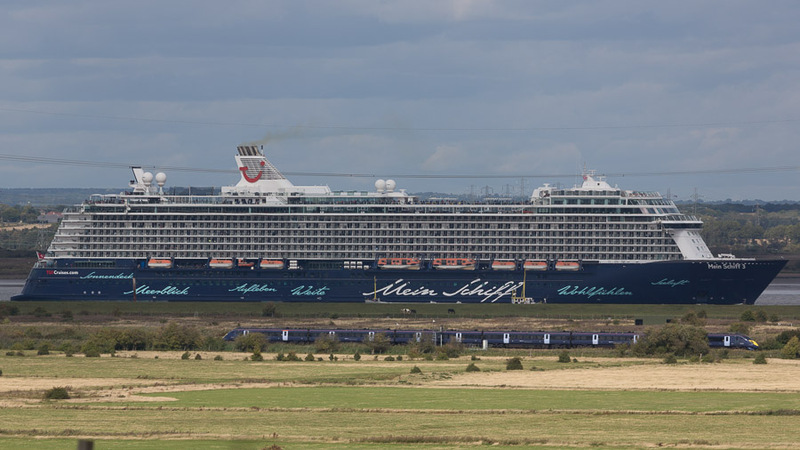 Mein Schiff 3, meaning My Ship 3 in English, arrived at the Tilbury terminal in Essex shortly after 7am on Tuesday morning. 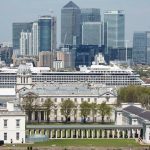 Seasoned ship spotters have been checking the archives to check whether she might be the biggest such ship to ever visit the Thames. 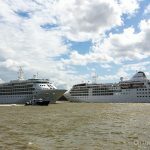 With a distinctive blue and white livery, the ship appeared to dwarf Gravesend in our pictures when she arrived on the river. 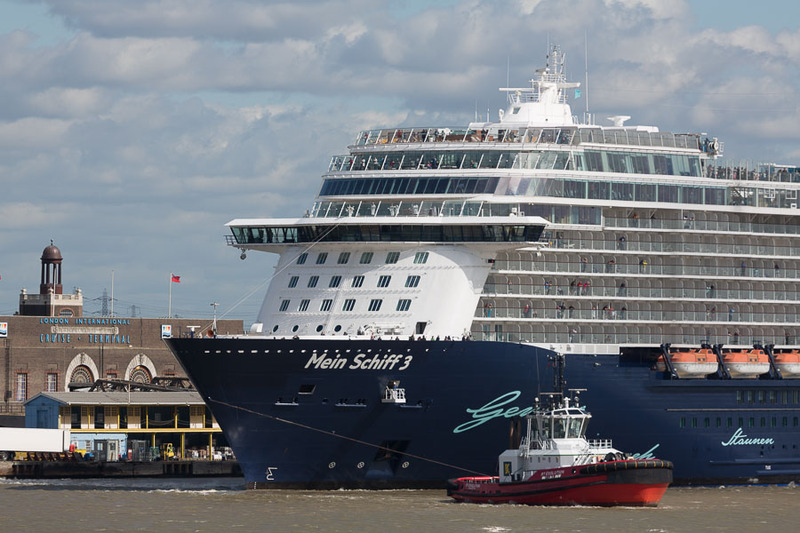 She is one of 6 "Mein Schiff" vessels owned and operated by TUI cruises. 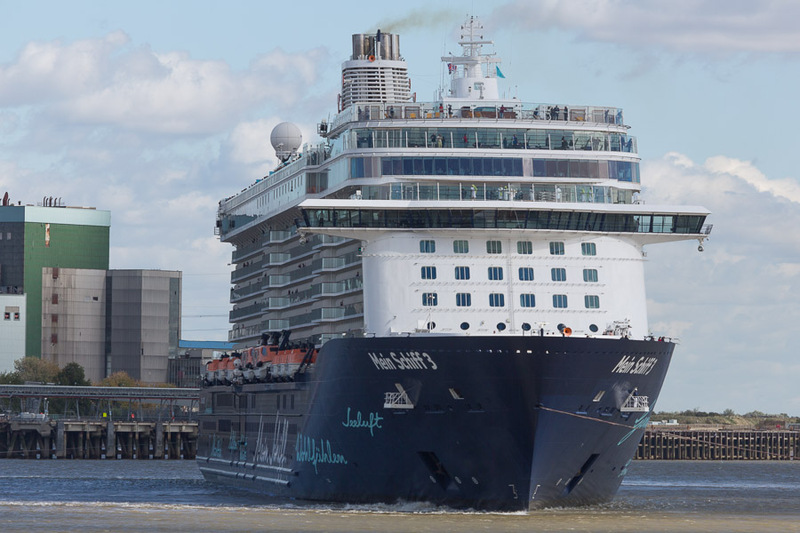 Costing 360 million euro, she was launched in 2013. 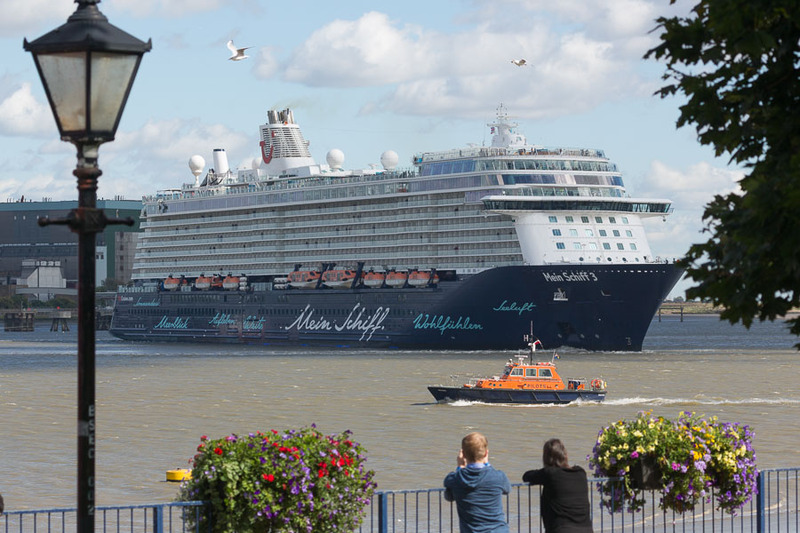 Her scheduled stay was due to be little more than 12 hours but the effects of Storm Aileen meant Mein Schiff's departure was twice delayed, which in turn put back the arrival of cruise ship Columbus on Wednesday. 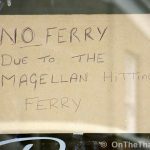 But with conditions sufficiently calmed so that the vessel could depart in glorious sunshine about midday today. 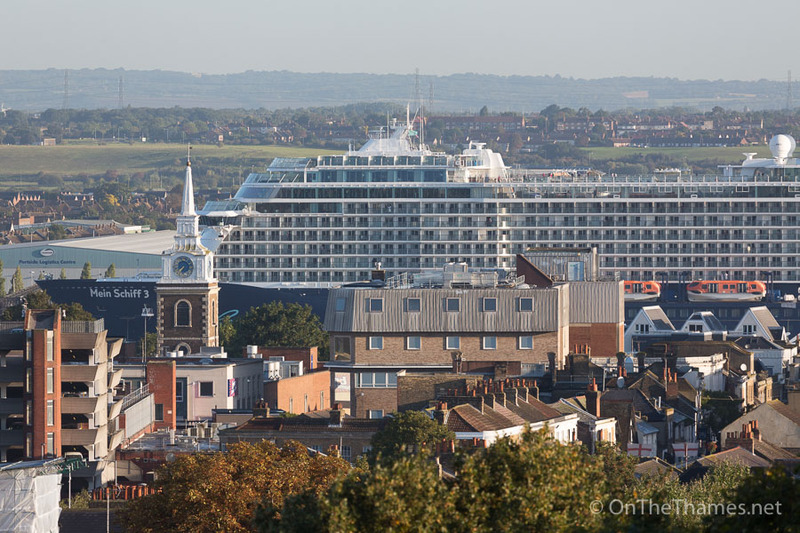 Gravesend's historic clock tower made to look tiny by the arriving ship. 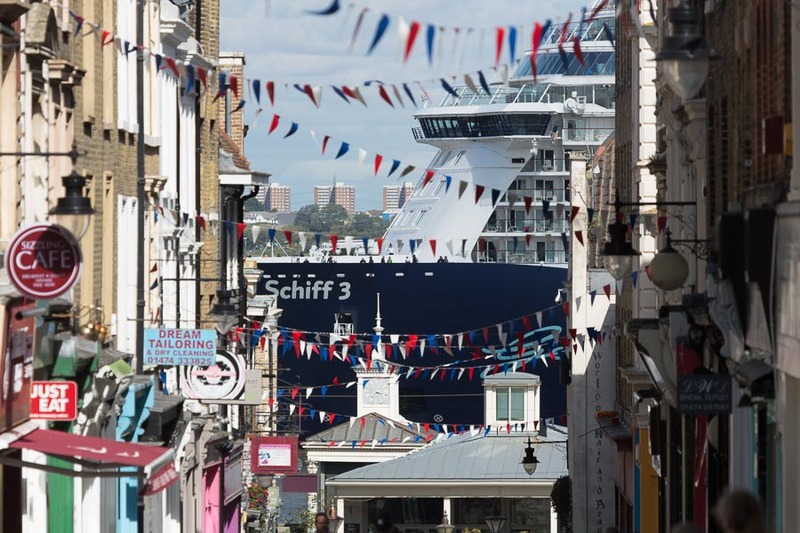 Local landmark St George's Church with the ship passing by. Princess Pocahontas is reputed to be buried at this church. 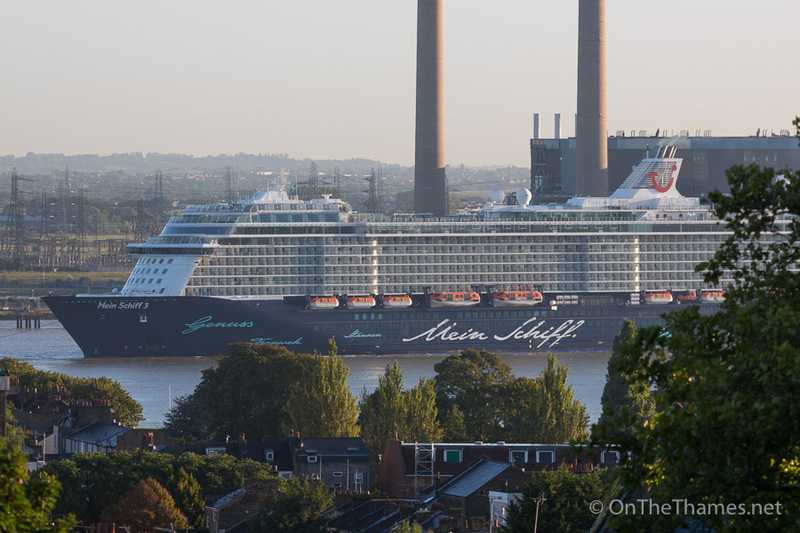 After the storm: Mein Schiff pictured at Tilbury the morning after she had been due to leave. 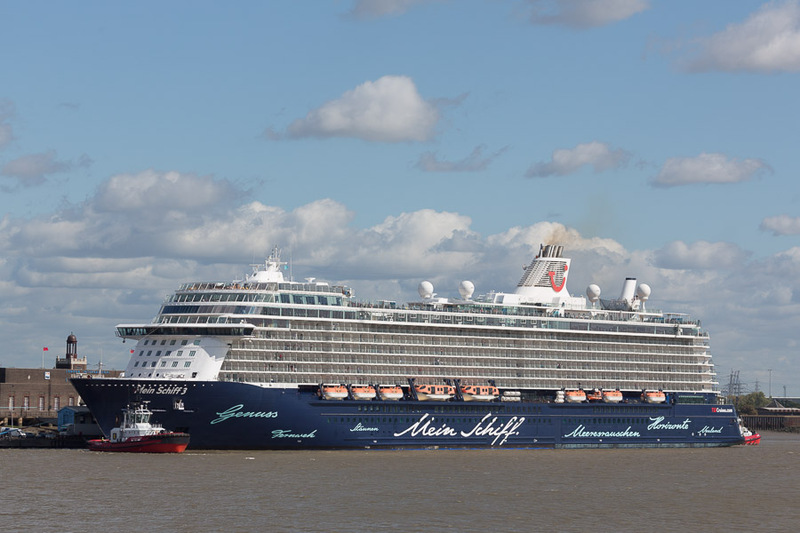 Mein Schiff 3 is the largest cruise ship to have visited London International Cruise Terminal. 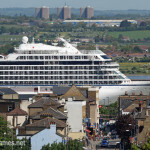 The ship was towed backwards as she left Tilbury - seen here passing the historic High Street in Gravesend. 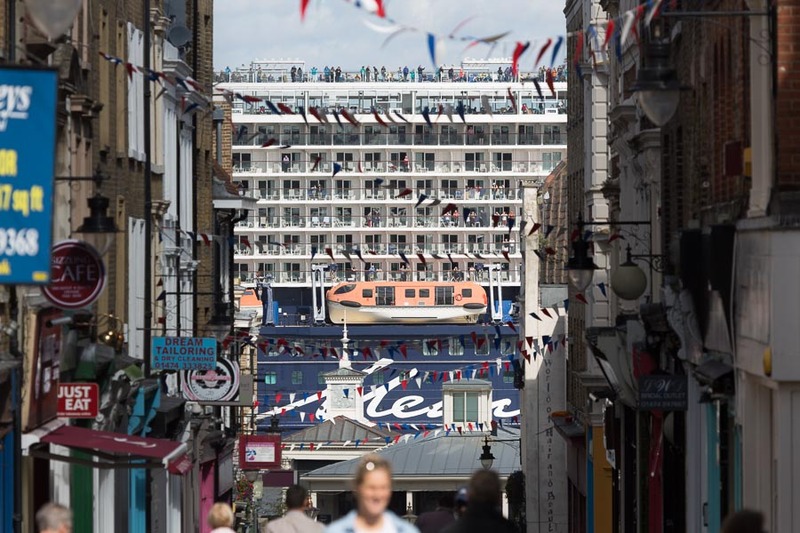 Few ships on the Thames have loomed as large at this on Gravesend High Street. 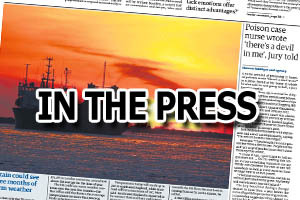 She was manoeuvred backwards past the historic Gravesend town pier - the oldest surviving cast iron pier in the world. 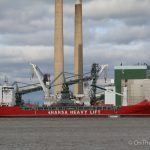 Two tugs turns the ship around in front of Tilbury Power Station. 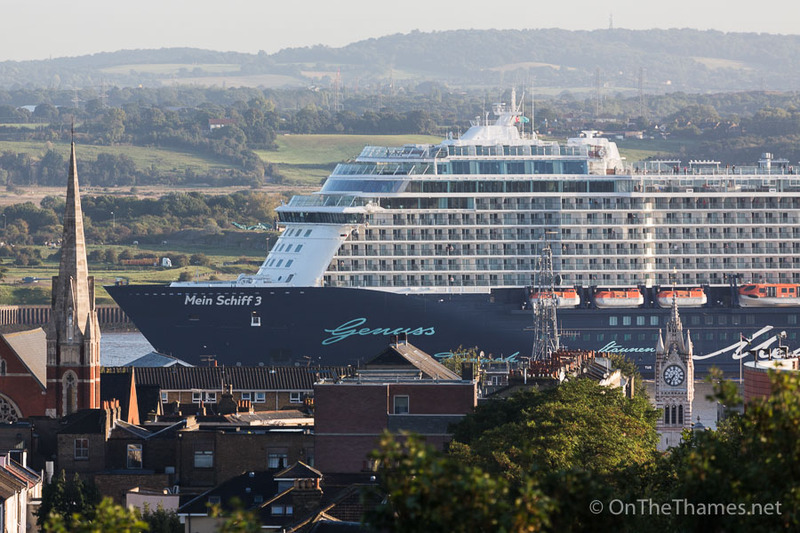 A number of people stopped to watch the impressive site from vantage points along the river. Once turned, she continued downriver and passed a Southeastern high speed train on the way. 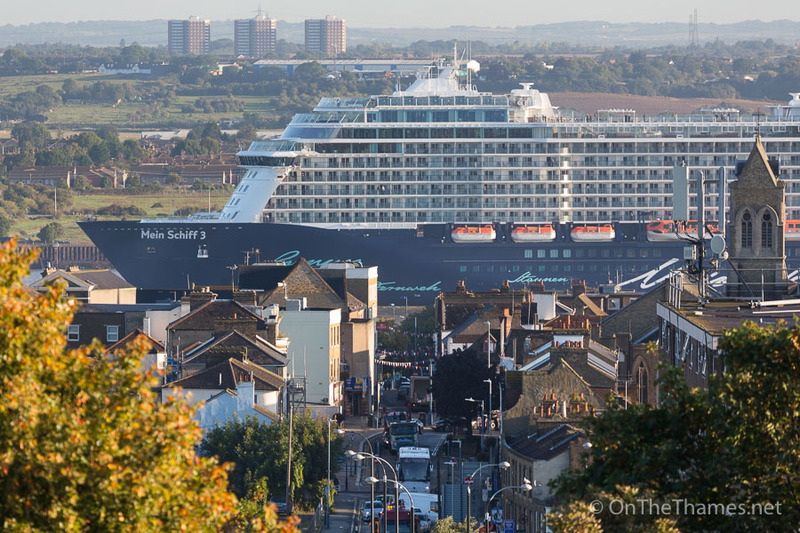 You can keep the pollution from this leviathan down in Tilbury. How much NO2 and PM was added to the local environment? 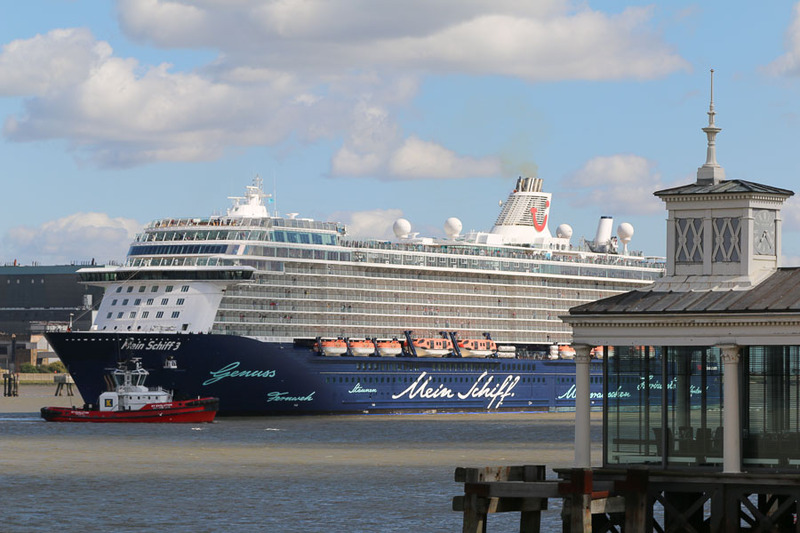 We also get big ships here in Essex and at other ports carrying the imported items your home and everyone’s home is full of. Don’t mention it, you’re welcome. It’s still a working river but cleaner now than anytime in my life.